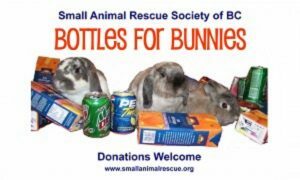 The Small Animal Rescue Society of BC is a registered society run by volunteers. Our primary focus is to rescue and rehome small animals in need. Neglected, injured and abandoned animals are our main priority. Small Animal Rescue works to provide a safe haven for small animals in need while promoting responsible pet guardianship through education, advocacy, and spay/neuter initiatives. Read some stories of special rescues and learn more about the work that we do. Feathers or fur, tiny or tall, jolly old Santa loves them all! 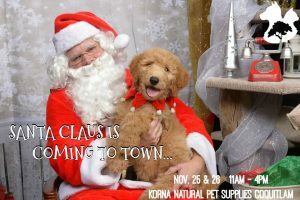 Santa is coming to town and he can’t wait to meet you and your pet! 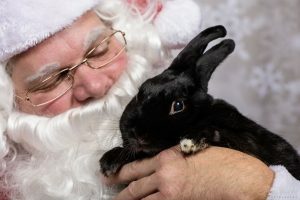 Get your photo taken with Santa with you, your pet, or your whole family. Photos are $20 and you’ll receive all digital copies of the images taken plus your pet will receive a special treat from Santa. All proceeds go to Small Animal Rescue Society of BC. To go along with your holiday spirit, take 15% off everything in store ALL DAY Saturday and Sunday! 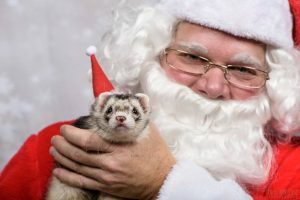 A special thanks goes out to the Small Animal Rescue volunteers, our Santa, as well as Karla, our photographer. Did you know that one of our main fundraisers is recycling empties? 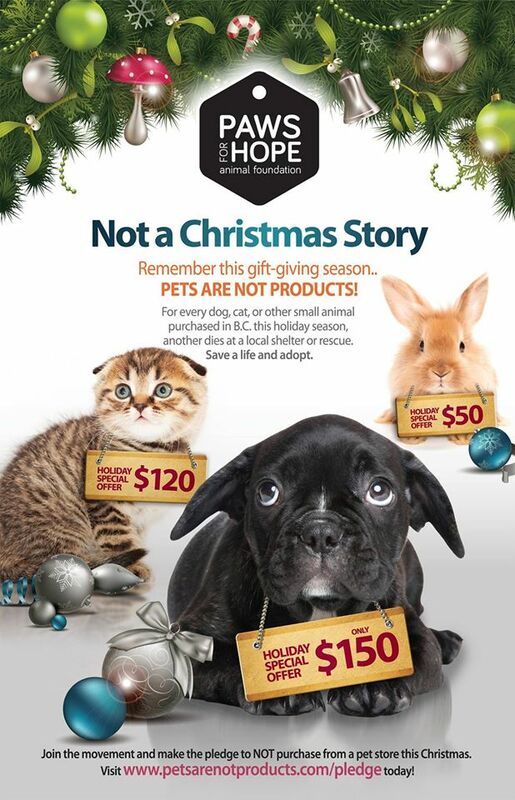 Just like the animals we help, every small contribution helps…..even if it is one nickle at a time. We have a few ways that you can donate. SARS BC is registered with Return it Express. It’s easy to use and no need to sort. Just bag it, tag it and go! 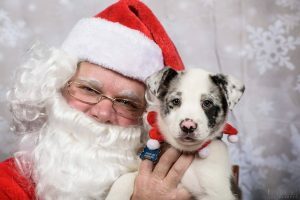 Santa is coming to town and he can’t wait to meet you and your pet! 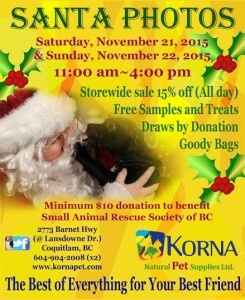 Once again we are partnering with Korna Natural Pet Supplies and this year we will be at 3 different locations…..one in North Van, one in Coquitlam and a new location in Vancouver (2030 W Broadway). ALL animals (and their family) are welcome. Photos are $20 and you’ll receive all digital copies of the images taken plus your pet will receive a special treat from Santa. We are also thrilled to have to have Karla from Karla Wakefield Photography back as our photographer. 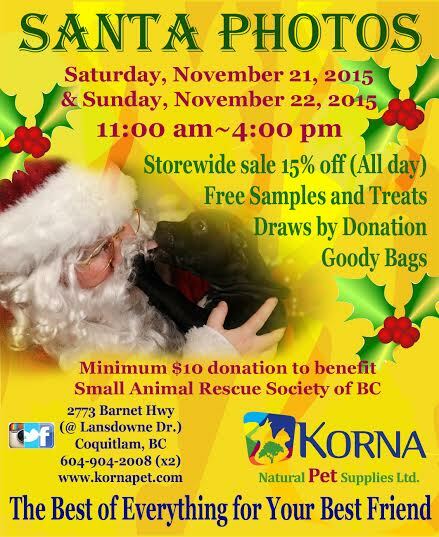 To go along with your holiday spirit, Korna is offering 15% off everything in store ALL DAY Saturday and Sunday! Mindful Mutts is offering a Walks ‘N’ Wags Pet First Aid Course July 17th, with $25 from each registration going to SARS BC! The course is dog and cat focused, but many of us have dogs and cats as well as littles & can really benefit from this class. 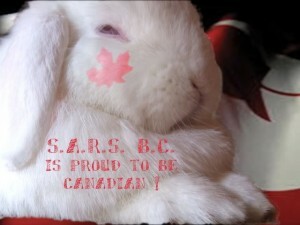 Course is $125 + tax for SARS volunteers and fosterers ($150 + tax for the public). It’s a full day and you will come out of it with your Walk n’ Wags certificate, valid for 3 years. If you are a SARS volunteer/fosterer, please email info@mindfulmutts.ca to register so that Stefania can give you the discount. 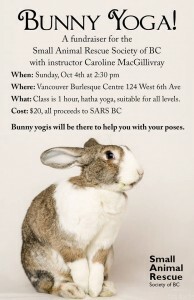 Bunny Yoga is BACK, just in time for Easter! Spend the hour doing yoga with adoptable bunnies! Admission is by a $10 donation, paid at the door, with proceeds going to the Small Animal Rescue Society of BC! All community members are welcome! 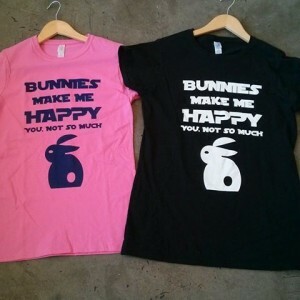 Thank you to Nice Shoes for carrying our new & somewhat cheeky t-shirts. As always, 100% of the sales goes back into supporting the animals in our care.